Girl Scouts of the Desert Southwest Troop 20009, pictured above, would like to thank community members who supported them during their cookie season and bake sales. 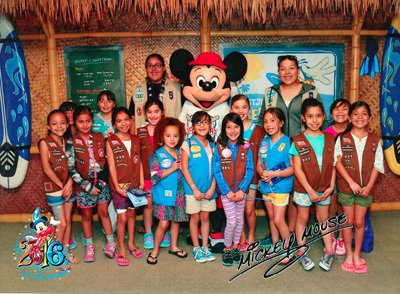 With the funds, the girls were able to visit Disneyland California Adventure and participate in a whale-watching tour. The Girl Scouts would especially like to thank Fenn’s Country Market, Kmart and HollyFrontier/Navajo Refining Corp. for their support.